We’re excited to announce the release of an entirely redesigned Dynatrace Help system. Dynatrace Help, which began five years ago as a loose collection of repurposed blog posts, has since matured into a robust, enterprise-grade help system that now serves as a comprehensive information resource for all aspects of the Dynatrace software intelligence platform. In designing the Dynatrace product experience, our UX designers strictly adhere to a “no documentation” mindset. The Dynatrace web UI is designed to be intuitive at a glance, with all the information you need to successfully monitor your environment presented to you directly in the UI. 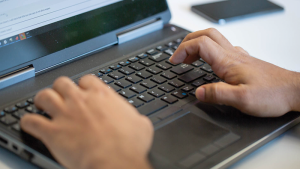 Sometimes, however, for answers to technical questions about how Dynatrace supports a specific technology or how you can extend functionality with the Dynatrace REST API, you may need more detailed information. 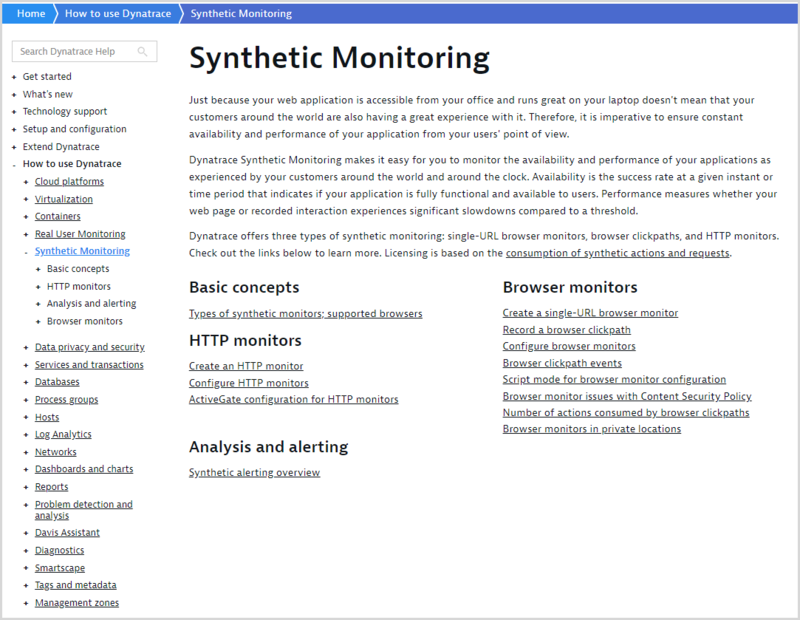 This is where Dynatrace Help comes in handy and why you’ll find context-sensitive links to relevant Help topics throughout the Dynatrace Web UI (see example below). And when you use Dynatrace in-product search, you’ll find links to relevant Help topics listed in the results. Over the past two years, we’ve completely redesigned Dynatrace Help based on the feedback that we’ve received from you, our customers. 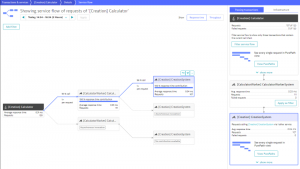 The content architecture is now designed around common use cases and clusters of related topics (See the Hub pages section further down in this post for full details). We’ve also introduced a number of usability enhancements, which are detailed below. 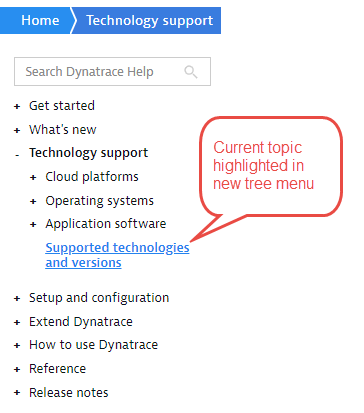 Breadcrumb navigation is still available along the top of each page, but now, for the first time, you can see your location within Dynatrace Help by glancing at the new menu-tree. Your current location is always highlighted here in the navigation bar, so you always know where you are in the Help system and what other options are available to you. While you can still search the Help system as a quick means of finding a specific answer that you’re interested in, you can now additionally browse through a comprehensive table-of-contents style tree-menu to see what other product-information topics are available. The new menu is available on every page in the Help system. Instant Dynatrace Help search results are available from any page in the Help system. Just start typing in the Search field. Auto-fill functionality displays real-time query results of the Help system as you type! There’s no need to even hit the Enter key on your keyboard. 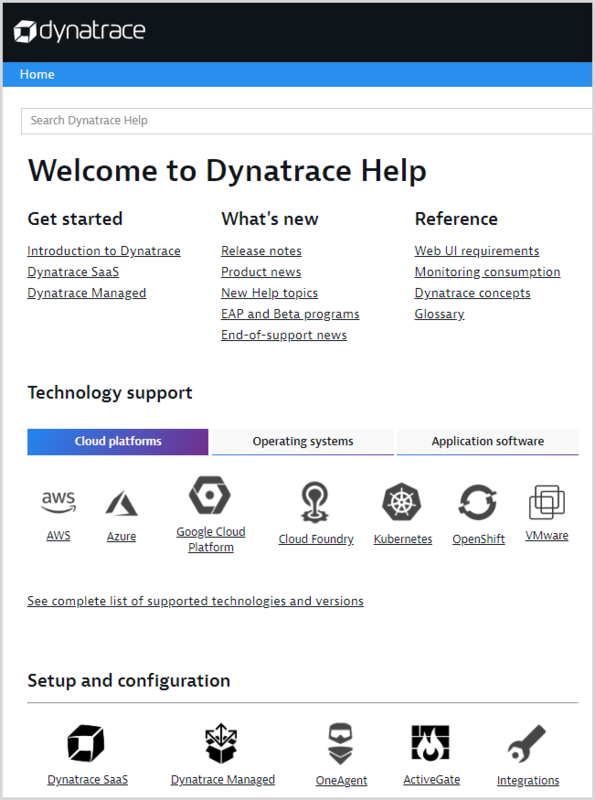 We’ve reserved a special spot at the top of the Dynatrace Help Welcome page for links to Get started topics, EAP and Beta programs, Product news blog posts, Dynatrace release notes, important reference materials, and much more. The links in this section will be updated over time based on your feedback. 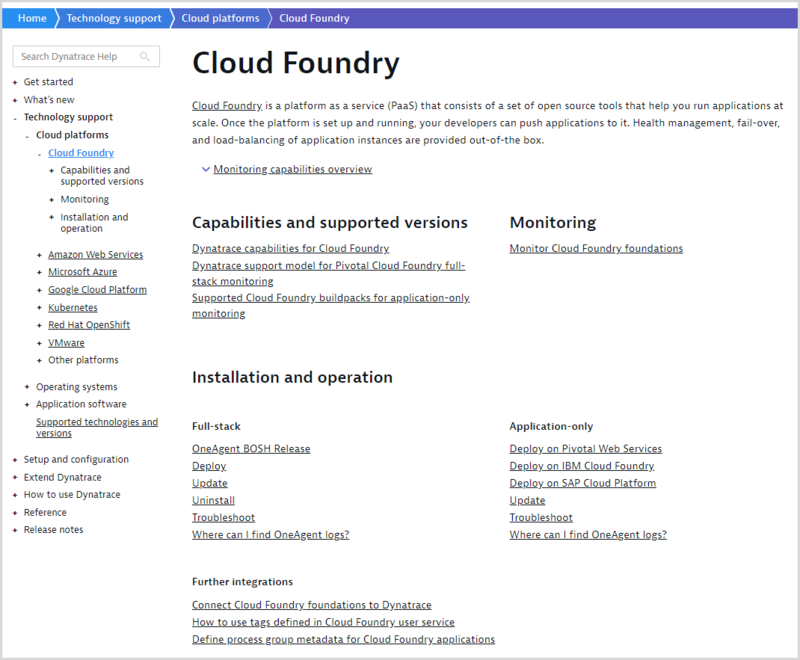 You now have quick access to key technology-specific content organized into technology-specific topic clusters (Cloud platforms, Operating systems, and Application software ). Don’t see a technology that you’re interested in? The complete list of supported technologies and versions is never further than a click away. Comprehensive instructions for setting up Dynatrace deployments and components are now grouped in the Setup and configuration section on the Welcome page. Don’t see instructions for the deployment model that’s right for your organization? 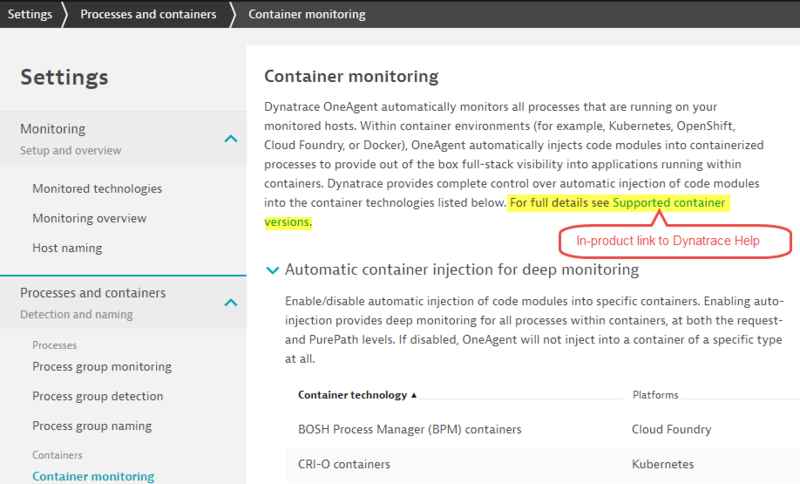 Expand the Other Dynatrace deployment options section to learn about agentless monitoring, the RUM browser extension, Dynatrace OpenKit, and more. 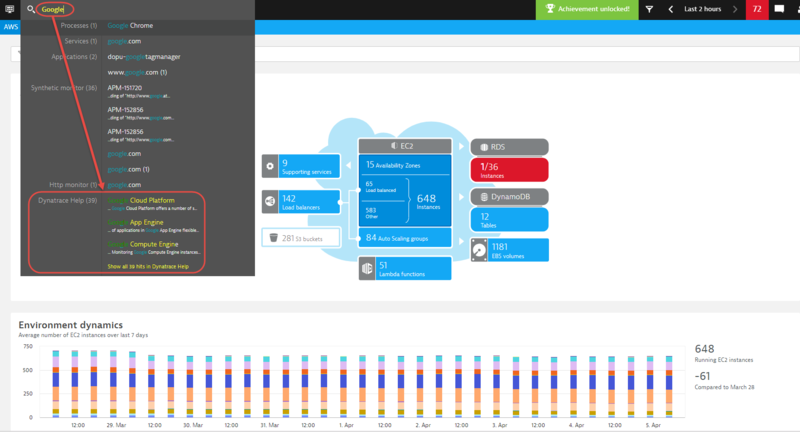 Dynatrace offers a number of approaches that you can use to extend Dynatrace out-of-the-box monitoring to address your environment’s specific monitoring needs. All topics related to the Dynatrace API, SDKs, plugins, and more are now organized and available directly on the Welcome page in the Extend Dynatrace section. Not sure which approach makes the most sense for extending Dynatrace functionality into your monitored environments and toolset? Expand the Which extension approach should I use? section for details. Of course, learning how to take full advantage of Dynatrace analysis features and monitoring capabilities is one of the primary uses of Dynatrace Help. 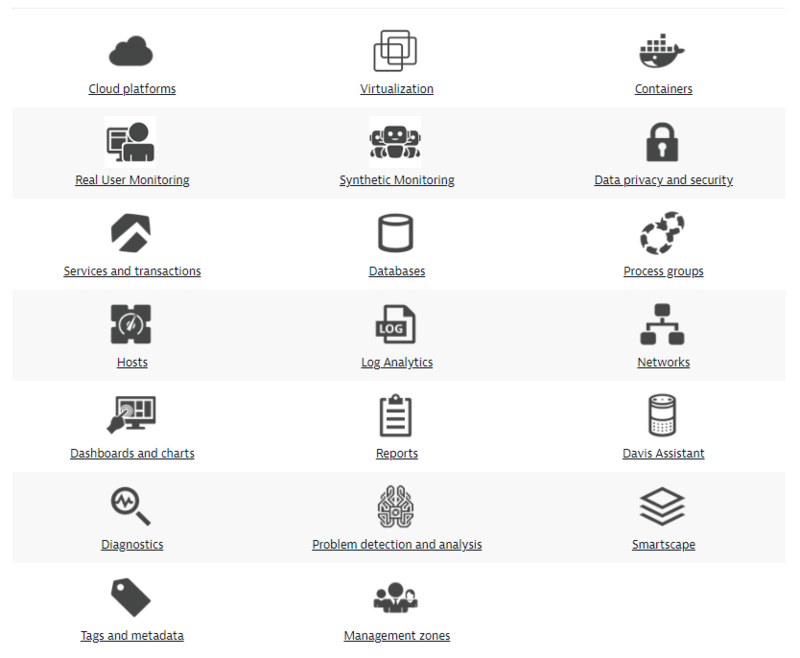 We’ve simplified the required effort by organizing all high-level Dynatrace-functionality concepts and capabilities into intuitive topic clusters, which are all accessible directly on the new Welcome page. Each topic cluster is accessible via a special index page called a “hub page.” Hub pages present links to related topics using meaningful groupings. Documentation of all Dynatrace functionality, concepts, and capabilities is now structured around such intuitive hub pages. See two examples below. The new Help system goes live on Monday, April 8. Please share your ideas and feedback about the newly redesigned Help system by emailing the Dynatrace Help team. We’d love to hear from you! Chris has directed information-architecture and technical-communication initiatives at a number of high profile organizations. As a Senior Product Manager at Dynatrace, Chris collaborates with UX designers, software developers, marketing specialists, and the executive team to maximize business value through an obsessive focus on end-user experience.